– It supports RTF message text extraction. 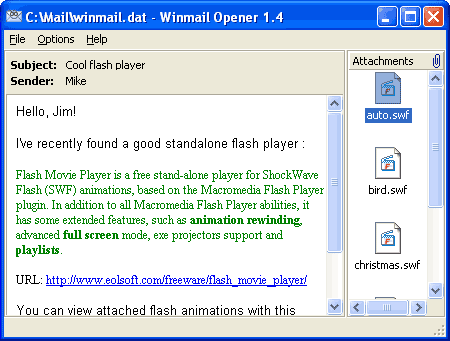 – Supports drag-and-drop of TNEF-encoded files into Winmail Opener. – Allows to work with embedded attachments via system popup menu. – Supports command line mode for batch decoding. – Multilingual interface and support 14 languages.